Proud owner of a new (metal) knee! Mrs Croxford is our Staff Governor and one of our newest members. She joined our Governing body in March 2016. She has also served on the Governing Body of her previous school, in the role of Staff Governor. She is our Key Stage 2 Lead and also has additional responsibilities for Maths and Financial Education. 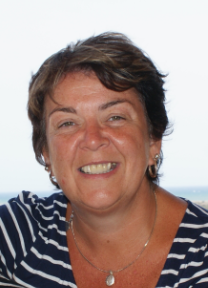 Her previous roles in school involved introducing Power of Reading, Transition and Assessment, particularly Assessing Pupil Progress, a role which involved her working part-time for the Local Authority as she supported other schools. She is married and has a son Jake, plus three adult step-children. She is the proud grandma to Emily, Joe and Ted. She is an avid blue, supporting Everton, and attends matches with her dad and brothers. Mrs Croxford works closely with the Northwest Maths Hub and is currently working in a Teacher Research Group investigating The Singapore Maths approach.